Dr. Tracy Brodie & Associates is your local Eye Care Specialists serving all of your family’s vision care needs. Dr. Tracy Brodie, Dr. Breanne Facey and Dr. Karen Bochnak provide quality eye care services and vision care products in Burlington, ON; we truly care about the health of your eyes and provide comprehensive eye exams to all family members. If you’re looking for an optometrist near you, we’d love to have you try out our top quality eye care delivered with unsurpassed customer service. 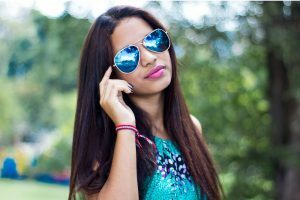 We display a great selection of designer eye frames, sunglasses and contact lenses, and we offer eye exams, emergency eye treatment as well as management of ocular diseases. 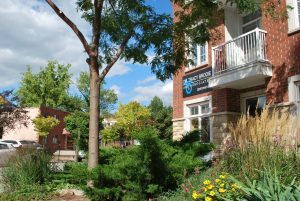 Visit Dr. Tracy Brodie & Associates at our vision center, which can be found at 405 Pearl Street, Burlington, ON L7R 2M8. Call us at (298) 813-7444 to make an appointment or schedule an appointment online. Have your child's eyes checked today! Dr Facey and staff are so amazing. You will always be in great hands making each visit such a delight! They take great care and pride with every check-up and finding you the perfect pair of glasses time and time again. So many trendy styles to choose from - can't wait for my next visit! Dr. Facey is great! Very knowledgeable and understanding. Everyone is always so friendly when I come in! I never have to wait for my appointment and they make sure to do reminder calls which I always appreciate. Recently made he switch to Dr. Facey. Great experience and top quality service from Dr. Facey and staff. Great experience. The best optometrists in the Halton region - so caring and inviting. Especially Dr. Facey. Thank you Dr. Facey for years of great care! Amazing Optometrist that truly cares about her patients. Dr. Brodie is one of a kind! Great friendly knowledgeable staff! Highly recommend this clinic and the vision therapy they offer, dr facey and Kayla are a great team! with so many different styles to choose from, getting the right look for your face and your lifestyle can be overwhelming. 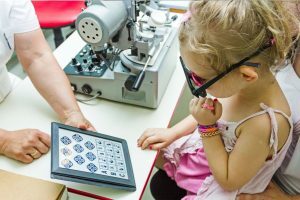 Vision therapy is similar to physical therapy for the visual systemOur goal is to get the patient seeing clearly while using both eyes as a team. 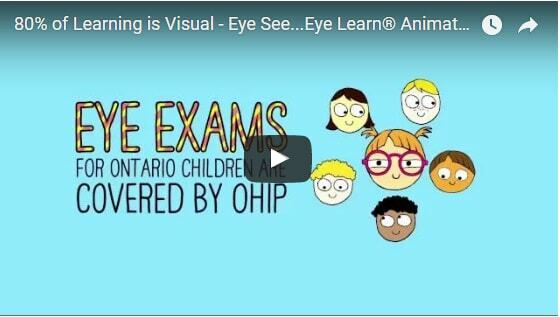 How much do you know about children’s vision? Do you suffer from watery & itchy eyes? Dry eye syndrome (DES or dry eye) is due to a lack of sufficient lubrication and moisture on the surface of the eye. 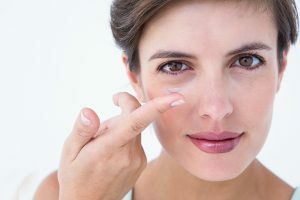 The consequences range and vary from minor irritation to the inability to wear contact lenses and an increased risk of corneal inflammation and eye infections. Find out more about the many treatment options for dry eye. 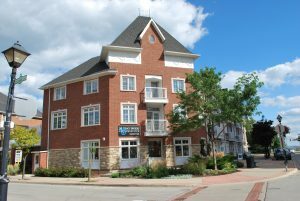 What's New At Our Burlington Practice?